On second thought, we would just take a swig from The Friday the 13th 8 oz. Jason flask and enjoy the little time we had left! 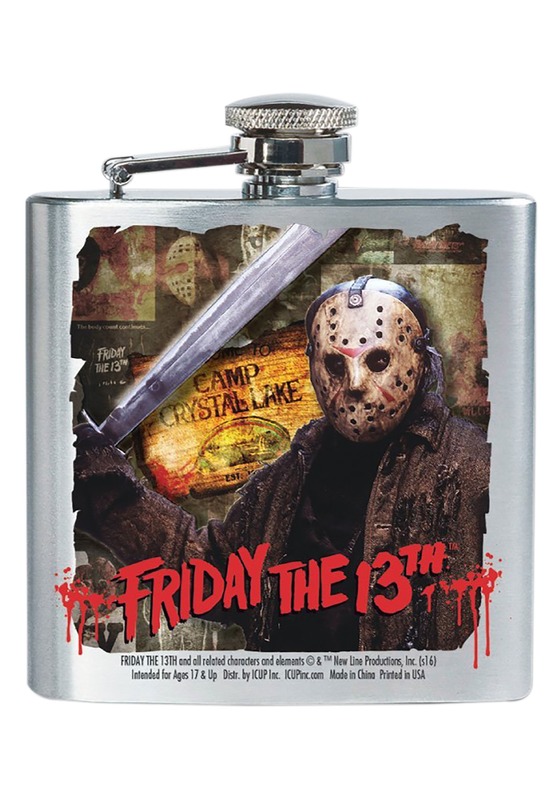 The officially licensed flask is perfect to use whenever you're in a pinch or in the middle of a full-fledged catastrophe! The metal flask has a screw on lid with an attached metal hinge that is capable of holding 8 ounces of your favorite beverage. A design of Jason in front of a wooden Camp Crystal Lake sign is printed on the front of this licensed Friday the 13th product. Please note, this product is handwash only. Want the serial killer's full approval? Wear a Jason mask while using it.